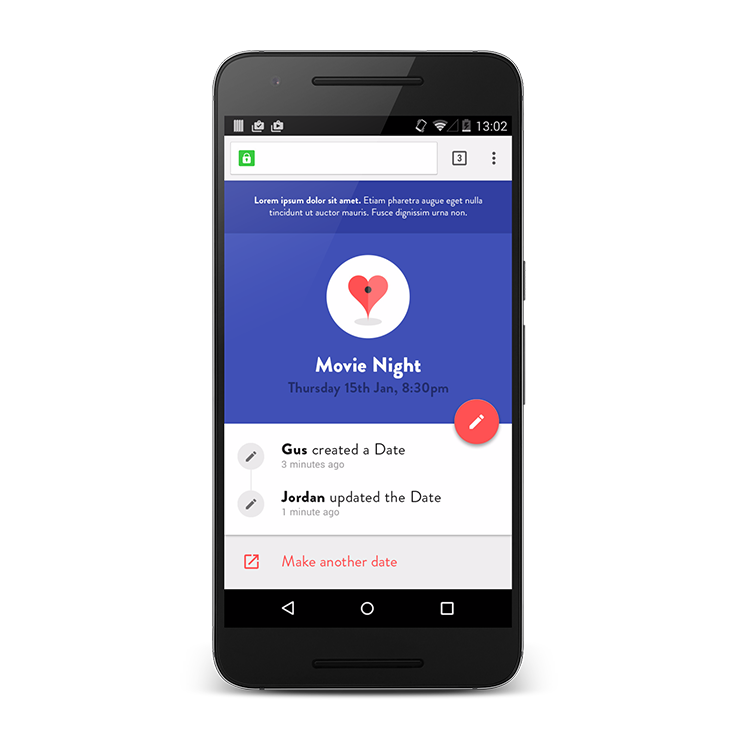 Google ends the “What do you want to do tonight?” debate for couples. Have you ever noticed that when you hear the word ‘dating’, you think about singletons, hook ups, and disaster stories. When did dating become the domain of those looking for relationships, rather than those in them? 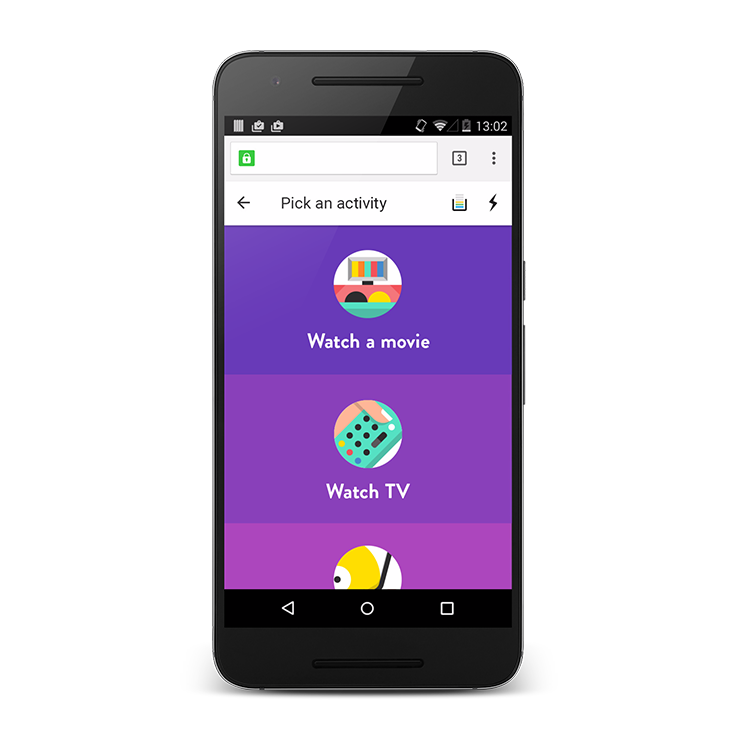 Could a dating product for couples bring the excitement back to dating, helping you choose where to go and when to go, all powered by Googles products? Could this idea end the pre-date “What do you want to do?” loop for good? Firstly, we recruited 8 couples to conduct some research into if and how couples date. We validated and disqualified our initial assumptions before beginging to ideate ways to help couples date better. We tested our initial concepts with our couples before arriving at a possible solution. 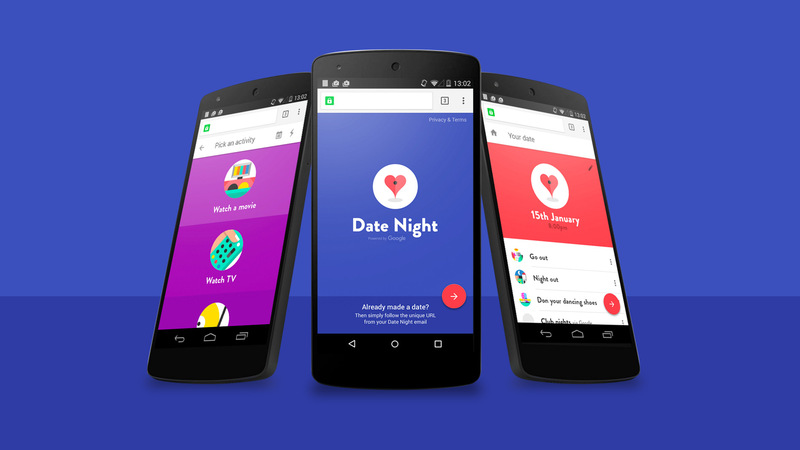 The final build allowed couples to create a date in just a few clicks. The cute, playful interface facilitated a discovery experience where couples could get inspired and find new things to do. As part of the project we also created a media campaign around the product and a film promoting the benefits of dating well. Unfortunately due to licensing issues the project never went live.